GTA 5 release date was kept dark for long-long months, so the fans of this the most anticipated game of 2013 could only guess the truth. The previous official GTA 5 release date was who-knows-when in spring, but now the developers announced completely new day. Yesterday Rockstar Games published new post in its blog and gave sudden and disappointing GTA 5 release date: the 17th of September, 2013. The developers apologize to every fan that is desperately waiting for GTA 5 release date and ask us to hold our breath, because brand-new Grand Theft Auto game is going to be awesome, "ambitious" and "complex", so it will be worth the extra time. And we really hope it will. 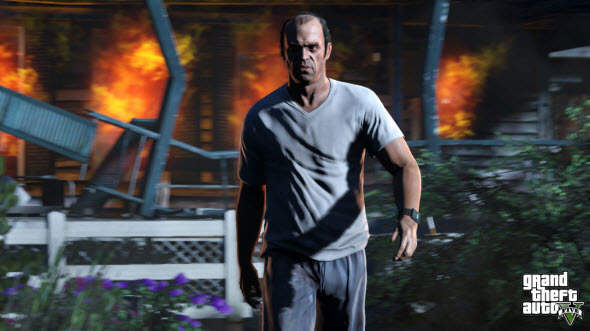 New disappointing GTA 5 release date immediately caused the massive decline on the stock exchange, and the share price of Take-Two Interactive Software - the owner of Rockstar Games - fell 12% today! Because of delay in GTA 5 release evil days also started for GameStop retailer - the shares of this company fell 2.9%. But we really hope that when GTA 5 release date finally comes, it will be worth our expectations. And now all we can do is to wait. So, let's wait together - in our Facebook community.